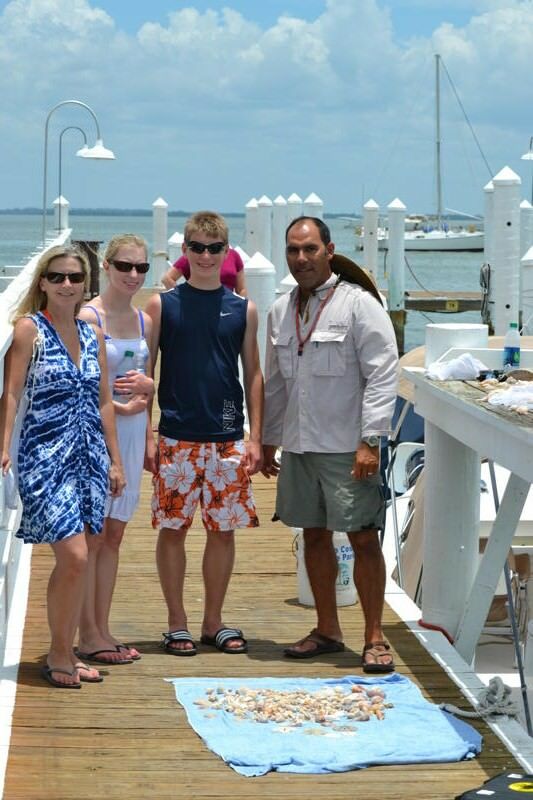 This was a fun adventure with Scott, his wife Karen and their kids Amanda and Alex. 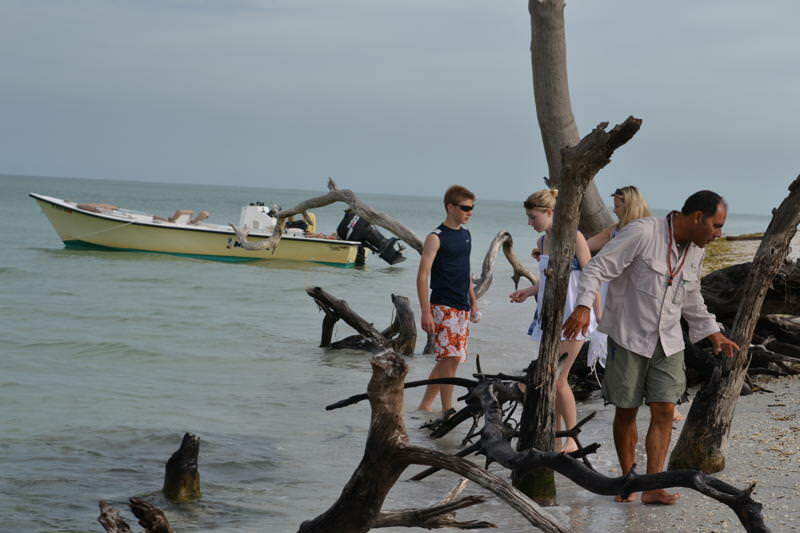 We saw my old friend the frigate bird swooping on the water as dolphins pushed small fish to the surface. 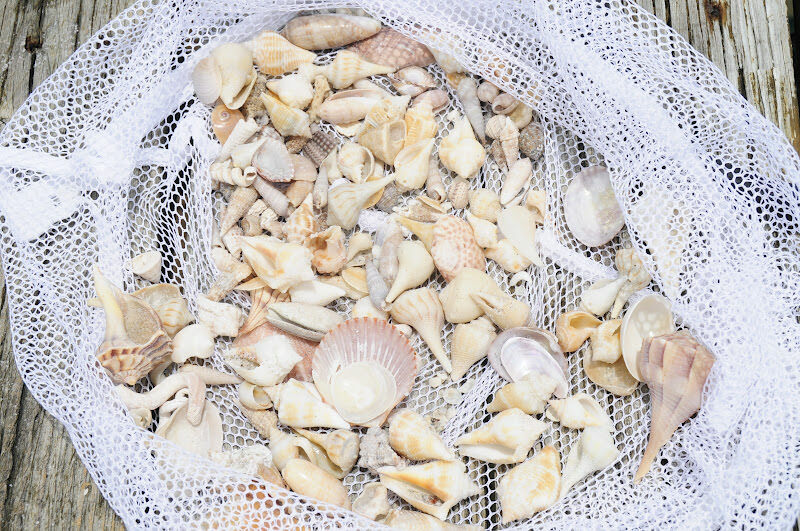 The shelling was excellent. 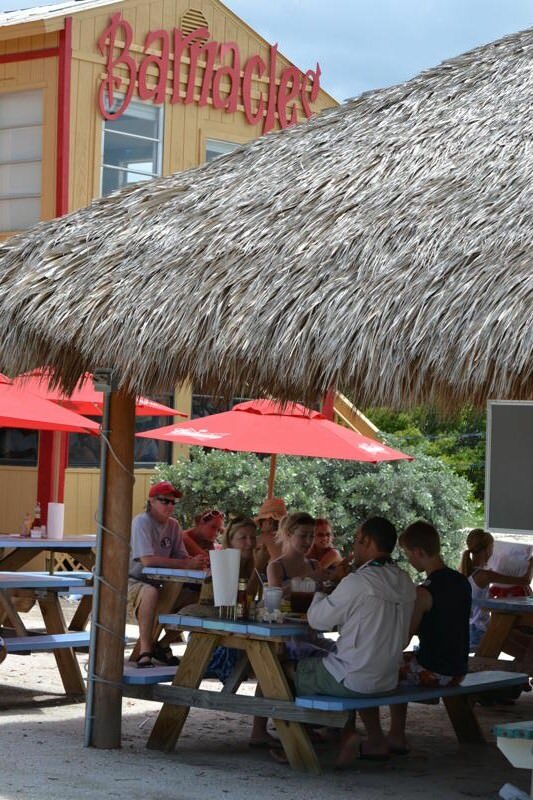 We reaped the rewards of Tropical Storm Debby. Alex found a beautiful Alphabet Cone. 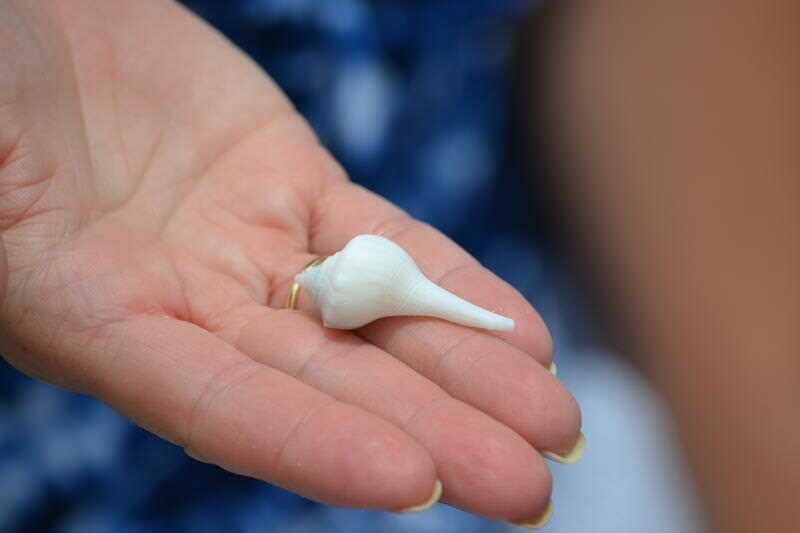 Karen found an Albino Lightning Whelk. 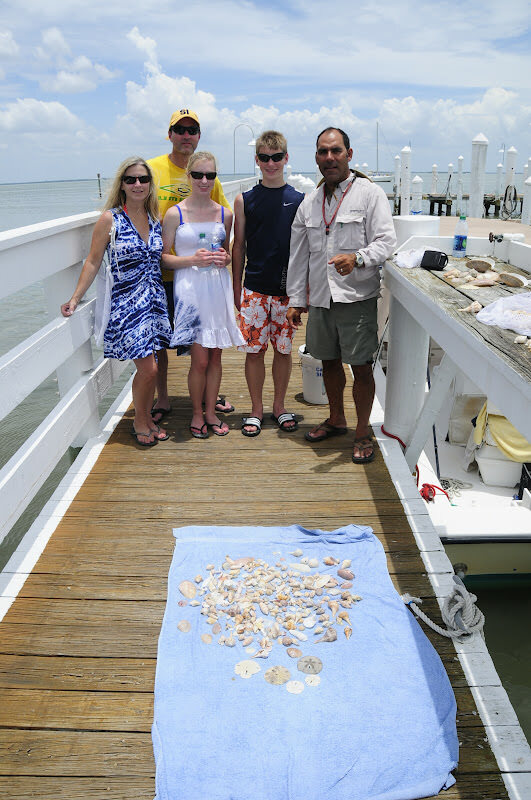 Amanda also found many great shells. She has a really good eye. 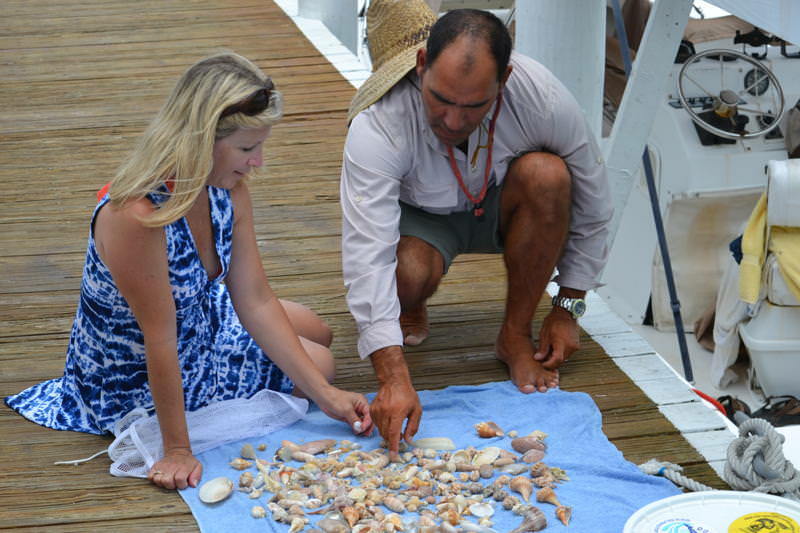 We started at my favorite spot and found many species of shells. Then we traveled to a more remote spot. 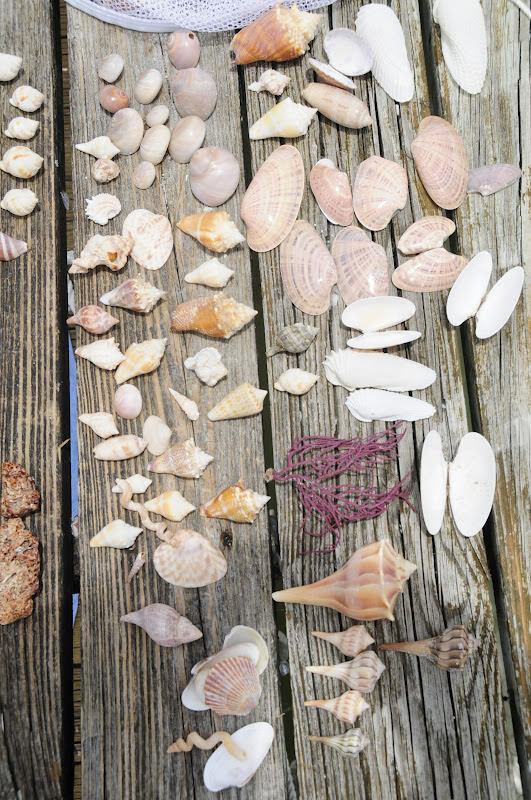 I was amazed at the variety of shells we found at this location. Cones, Murex, Sharks Eyes, Fighting Conchs, the list goes on. 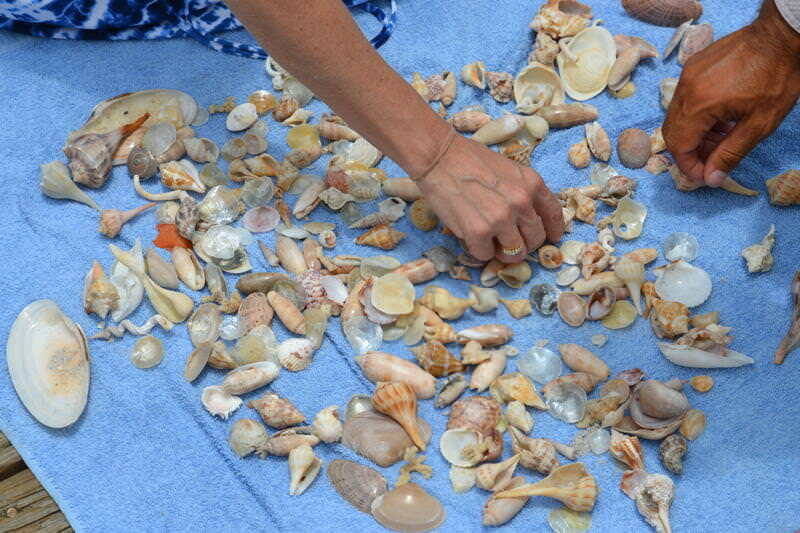 It was a truly a great day of shell collecting. On the way back we stopped at a local island restaurant only accessible by boat for lunch. Conversations were enjoyed as well as the food. Scott was the camera man throughout the trip. 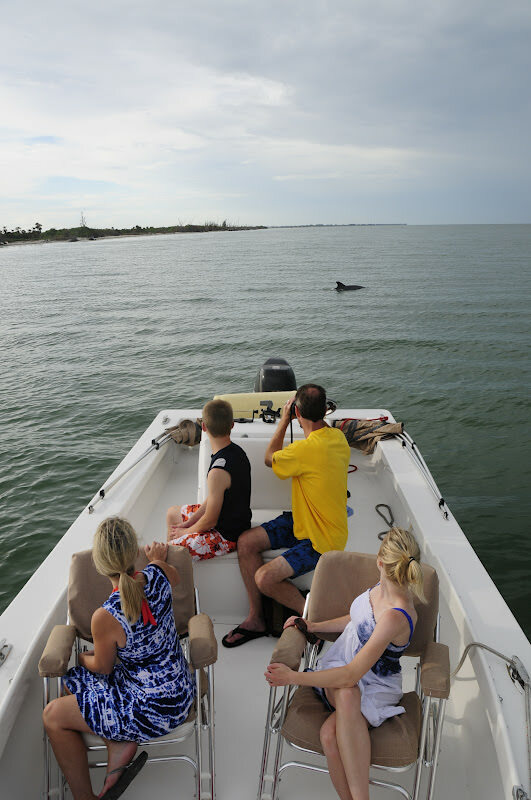 He got a great shot of the dolphin posted above. Thank you Scott for all the great photos. 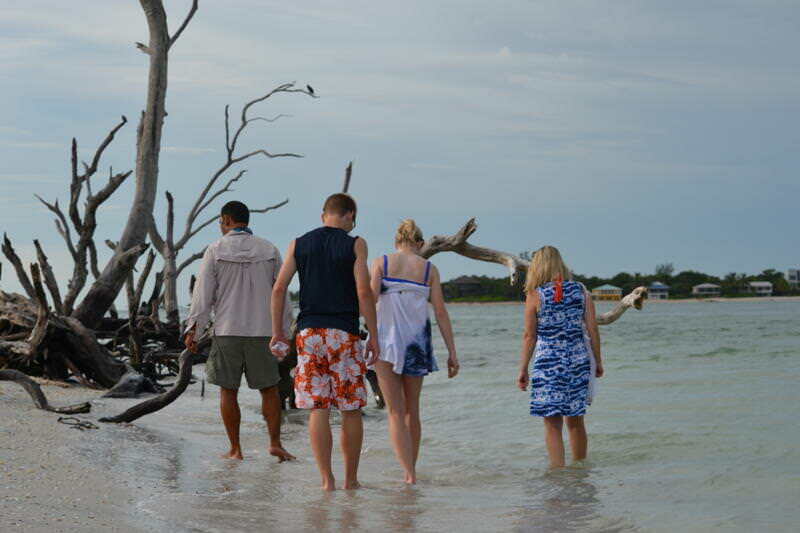 The adventure was most enjoyable with your family. 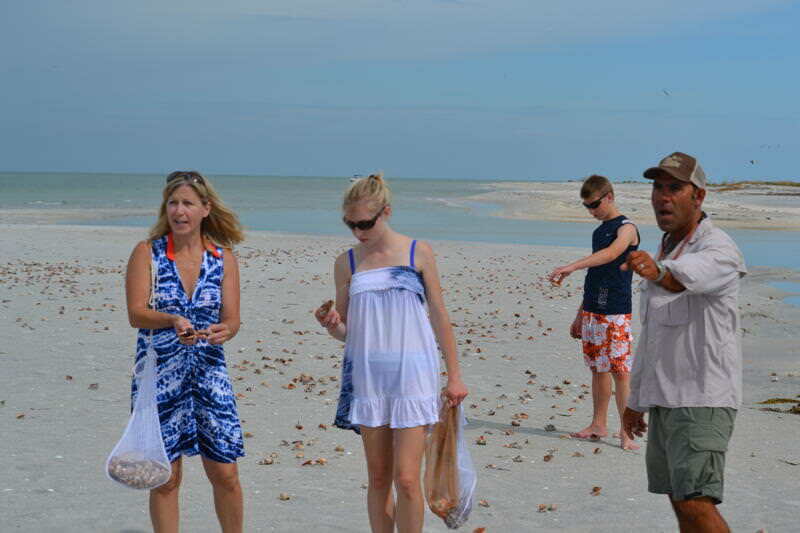 The 4th to the last foto – Are those fighting conchs all over the beach. Holy cow! Looks like capt. 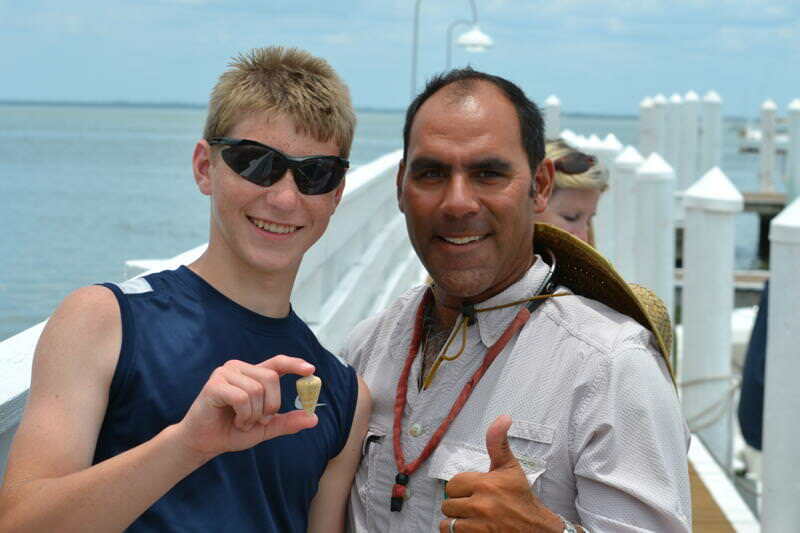 Brian got in on the shell hunting. It's fun to see the photos your clients capture and a good way to get some photos of you as well. 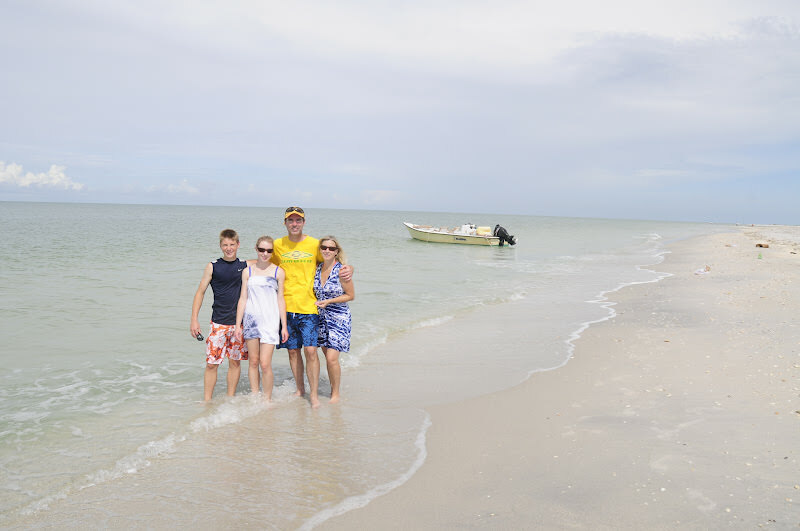 This was the highlight of our brief stay on the islands…can't thank you enough, Capt. Brian! We were able to expand our shell collection and we really enjoyed having you share your knowledge about wildlife and shells. Hope to be back again! Wow, looks like you guys hit the motherlode! 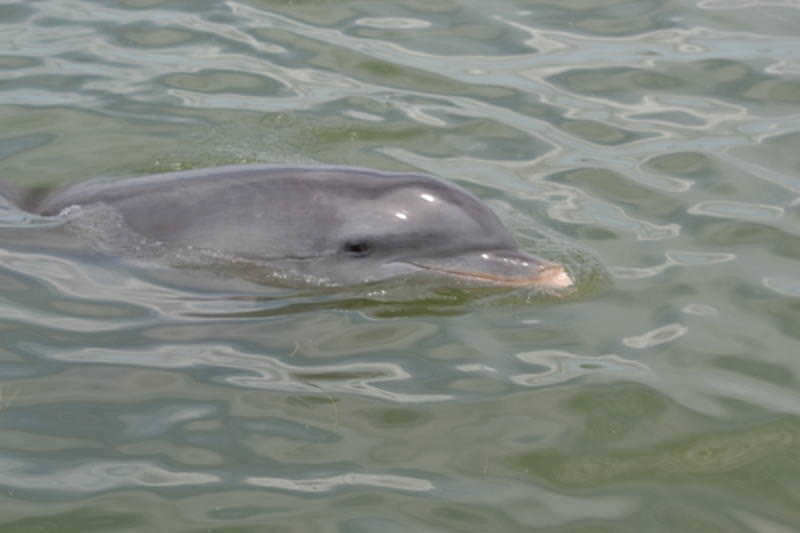 And I love the photo of the dolphin. Great shot!